As it grew, a central debate within the Federated Colored Catholics revolved around its very nature and function. How did one become a member? What was the purpose of the organization? As his stature in the organization grew, Father LaFarge absorbed himself clarifying the organization's mission. In his Principles Underlying the Federated Coloured Catholics, Father LaFarge outlined his vision of the organization. 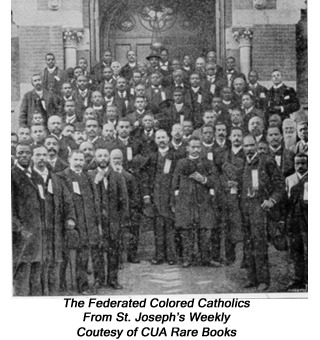 What are the main objectives of the Federated Colored Catholics (FCC) as described in this document? What role does Father LaFarge see the Catholic Church and its teachings playing in relations between blacks and whites? 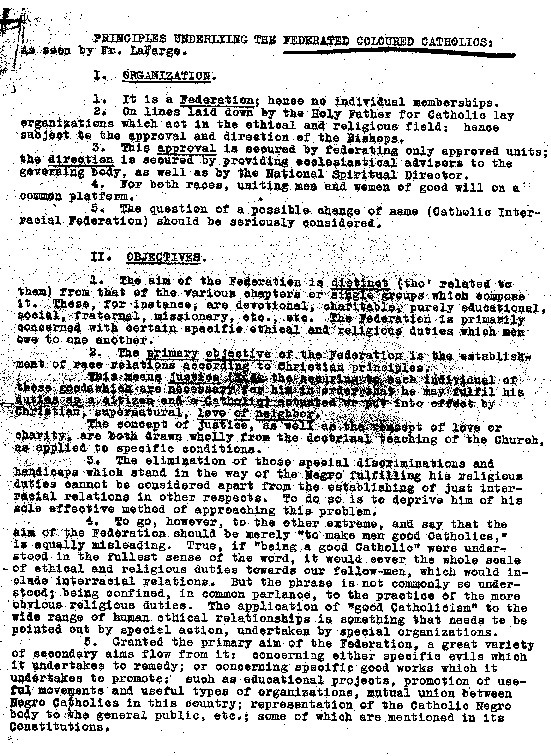 How do the objectives in this document differ from those outlined in the 1925 Mission Statement of the Federated Colored Catholics? How are the two sets of objectives similar?